Last time we talked about ways we can honor our teammates and coaches. We all know we’re supposed to be respect our teammates and coaches. But sometimes we forget that we’re also supposed to respect and honor our opponents and the referees. Why do you think it’s important for us to respect our opponents and referees? One of the main reasons is because it helps us practice good sportsmanship. It’s important to treat others with respect. Another reason is because there would be no game without our opponents and the referees! Think about it for a second. Without our opponents, who would we play against? And without the referees, who would enforce the rules of the game? Honoring and respecting our opponents and the referees also helps build your character. Having good character means doing the right thing, even when no one is watching. Perhaps the best reason to honor our opponents and the referees is because God’s Word tells us to respect everyone. 1 Peter 2:17 says, “Show proper respect to everyone, love the family of believers, fear God, honor the emperor.” In sports, showing proper respect to everyone is a great way to bring glory and honor to God! Listen to this quote from the Competitor’s Creed of the Fellowship of Christian Athletes, “Whether I am preparing, practicing or playing; I submit to God’s authority and those He has put over me. I respect my coaches, officials, teammates and competitors out of respect for the Lord.” In sports, God has put our coaches and the referees over us to help us know the rules and become better athletes. God always wants what is best for us and He knows it is good for us to honor those who are over us. We also become a more valuable teammate when we honor those around us. Your challenge is to do at least one thing that honors your opponents and the referees. 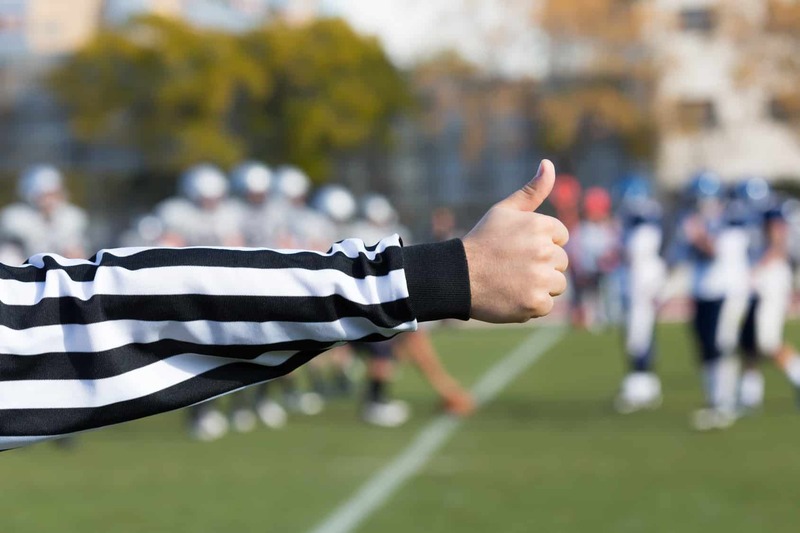 After your games, honor the referee by thanking them for being there and enforcing the rules of the game. Remember, small acts of kindness can make a big difference in other people’s lives.